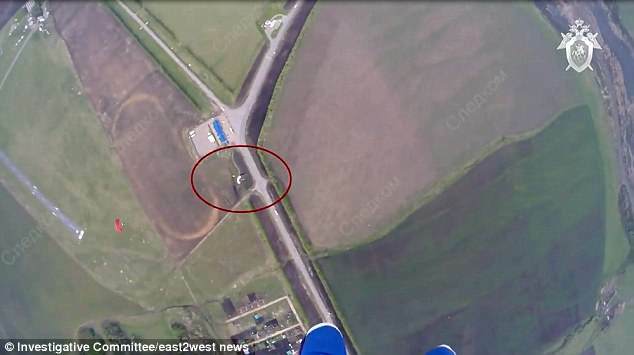 This is the horrifying moment a pair of skydivers fall to their deaths after colliding in a shocking mid-air crash. 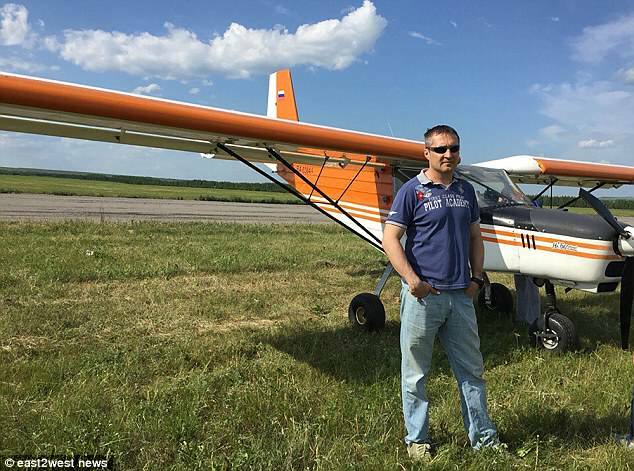 Rushan Sibgatullin, 34, and Oleg Schelkanov, 48 were taking part in a routine team jump in the Tatarstan region of Russia when the accident happened. 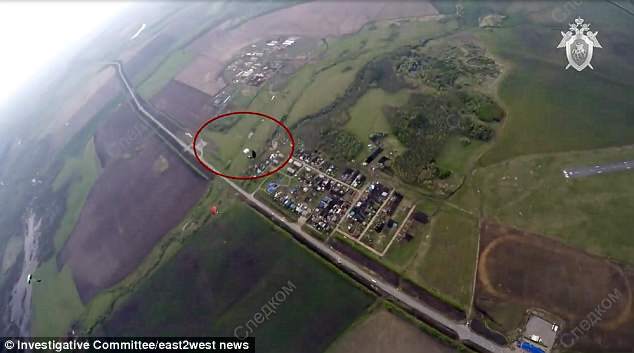 Harrowing footage shows their seven man team jumping from a light aircraft at 5,250 ft. But as another diver films the unfolding scenes on a helmet camera - the pair can be seen coming together in a nerve-shredding collision. The force of their impact led to both losing consciousness in the air, local media reported. 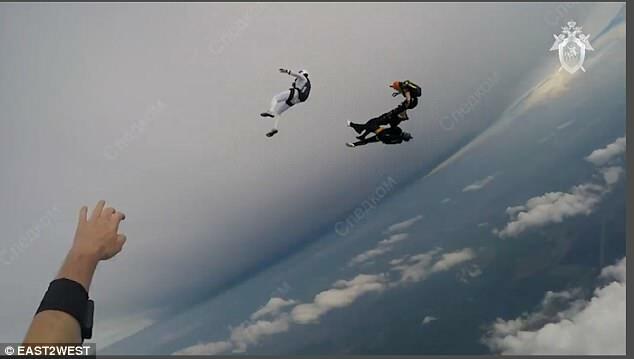 At the moment of impact, one of the skydivers had just opened his parachute, and the other was in the process of doing so. They can both then be seen hurtling towards the ground in an uncontrolled free-fall. 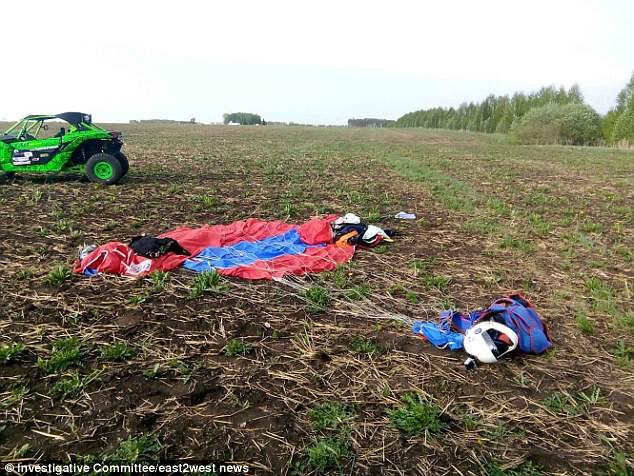 Still unconscious as they hit the ground - one of the skydivers died on impact at the landing site, while the other passed away in hospital several hours later. 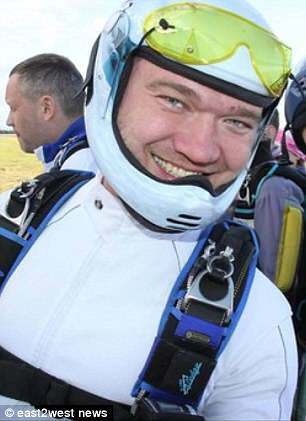 Both Mr Sibgatullin and Mr Schelkanov were experienced skydivers who had each completed more than 600 jumps. They were in an elite team of seven jumping in the region’s Menzelinsky district - a popular choice for the region's experience divers. Following the incident, the Russian Investigative Committee said it would be launching a probe into the circumstances of the tragic accident.